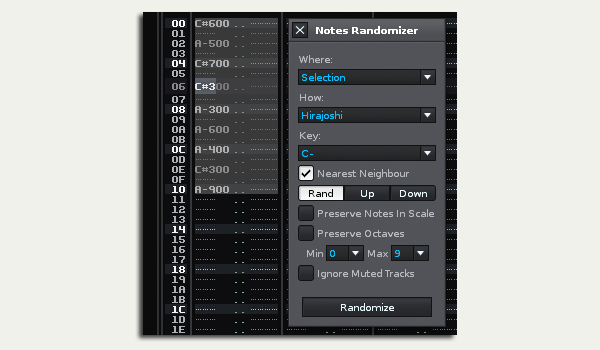 Randomizes or shuffles notes in various tonal modes and ranges, in order to create new random variations of existing sequences. Shows up as "Randomize Notes..." in the Tools menu, the Pattern Editors' context menu, and also creates some shortcuts (look for 'Randomize') in the Pattern Editor. Added support for Phrase Editor.